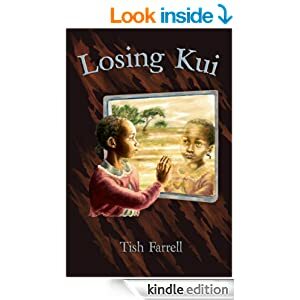 Posted on August 27, 2018 by Tish Farrell	This entry was posted in Africa, memoir, Travel Writing and tagged crocodile, Hunter's Lodge, Kenya, Kenya Diary, Tish Farrell Writer. Bookmark the permalink. I’m sorry you didn’t get to say good by to the croc..
A master piece in vivid and colourful writing! Every scene you describe on your journey surfaces so clearly before my inner eyes that it is as if I am experiencing all this myself. Looking foreword to the next instalment. Marvelous narrative. I felt like a visitor as I followed your observations… and this was a few years ago; which supports my belief that writing transcends time and space. Even before the digital media, by attaching ourselves to a writer whose taste we enjoyed, we were freed of both moment and place. So happy to have along on this safari, Shimon. It’s a magic thought – the transcending of time and space. I think you’re right! Jo and the giraffes jiving – that’s a jolly notion. Many thanks my dear for the nice comments. I have pruned out a few adjectives here and there, but otherwise it’s much as it was written. I used to spend A LOT of time doing it! Much Wenlock or village life in Kenya, always a pleasure to read. I agree! I’d love to see the giraffes loping along and you look like a movie start in that last shot, Tish. Oh, I was so hoping you’d get a shot of the croc before it was shot! Another lovely nostalgic read Tish, and what a beautiful young woman you were (and still are). 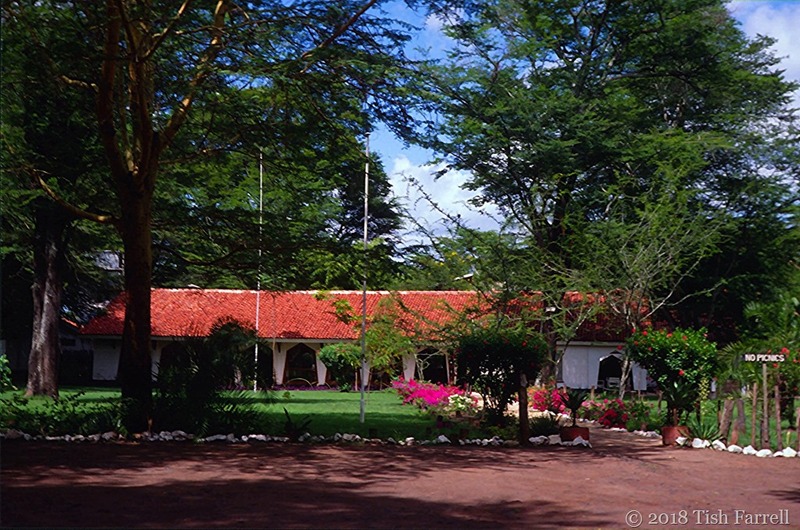 Africa is hard to forget and you certainly experienced its wilder side. I can picture those giraffes though I didn’t see many in Cape Town! 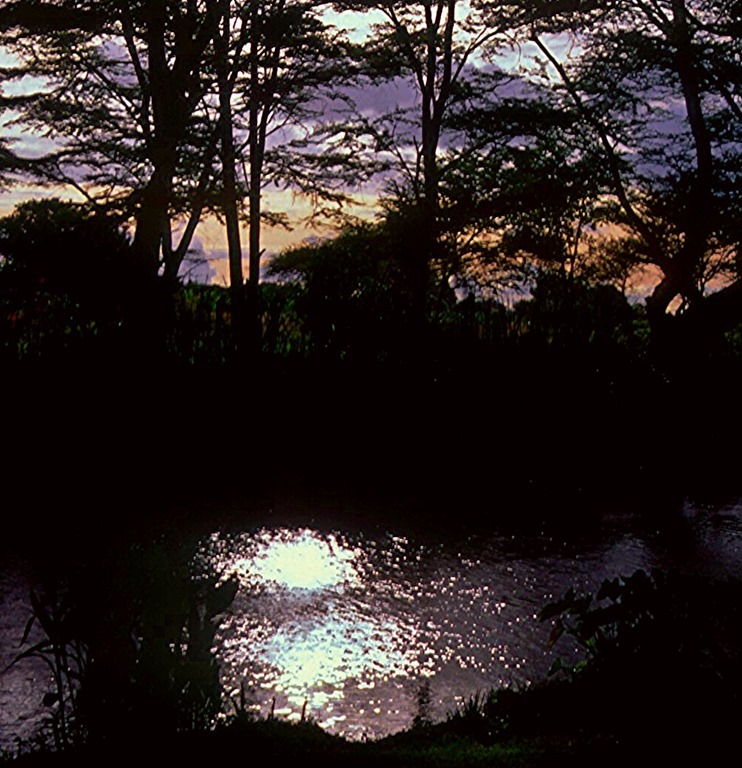 You paint such a vivid picture of Africa the sights, sounds and smells conjure the reality you were experiencing. I wonder if it is still the same, or as sadly happens, it has all changed. Have you been back recently? Over here the croc would not be shot but captured and relocated. They are a protected species…. No we haven’t been back. But from reading the Kenyan press, I don’t think things have changed a great deal for most people – at least not out in the provinces. I dare say Hunter’s Lodge has had some sort of makeover. I don’t like to look. I just stopped by to say Hi and found your lovely words. A nice surprise indeed. That’s very lovely of you, Tracey, to think of dropping by. Thank you very much. I’m still thinking of your mini frittatas. I need to make them! Am very touched by that comment, Marilyn. I mean it’s the very best one can hope for – for one’s writing – to draw readers in there too. I am so fortunate to visit your blog. I find your writing very enriching and interesting. love the shot of you in the chair. 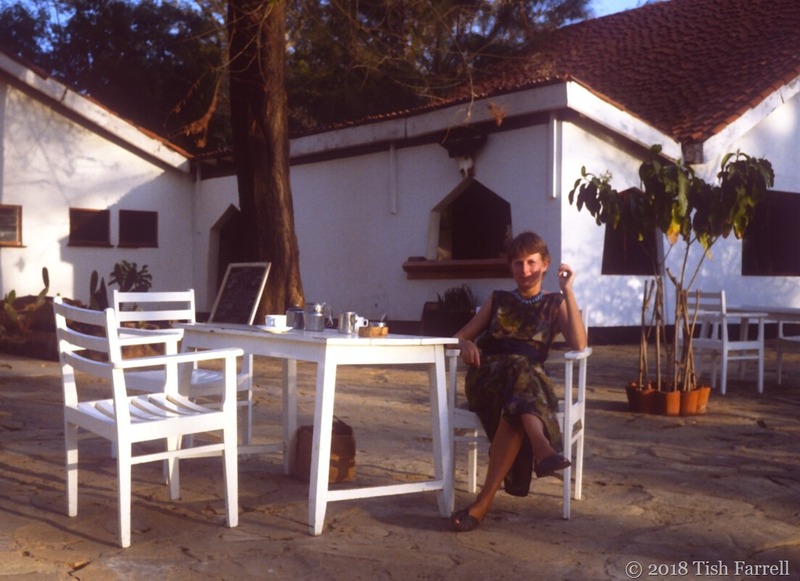 I think it is wonderful serendipity that you, a writer, got to spend all this time in Kenya, because years later we get to read about it all and be transported to that time and place. I love the detail, I love imagining I am there. Like Peter I want more. Many thanks, Alison. I’m so glad you enjoyed this post. Wonderful images and a nice photo of you Tish. I’ve been to Paga, that Celestine speaks about, I’m not a fan of crocs so it wasn’t my favourite place in Ghana. I well understand the lack of enthusiasm for crocs! Soon I will start following in your footsteps, living your diary.